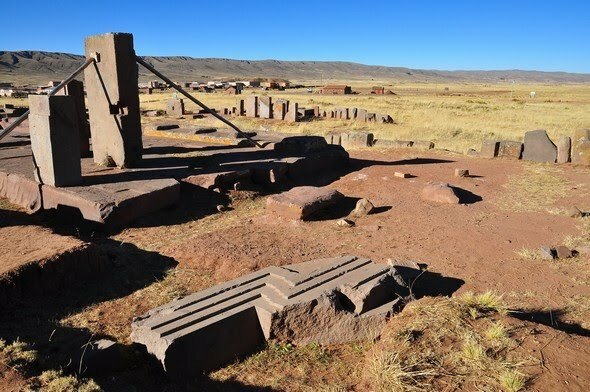 These incredible ruins have so much mystery behind them, that they still today leave no real explanation to how they were built much less who it was that built them. 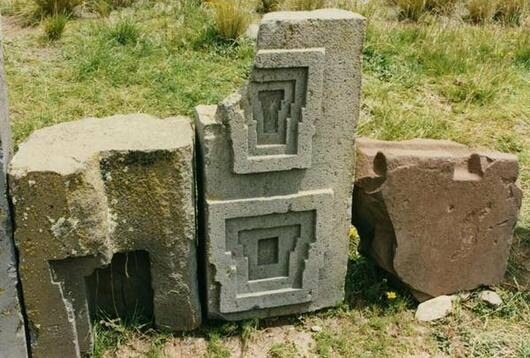 The complexity of the of the carved rocks are so precise that even professional rock cutter's today say they would have a hard time recreating what was found at this ancient site. 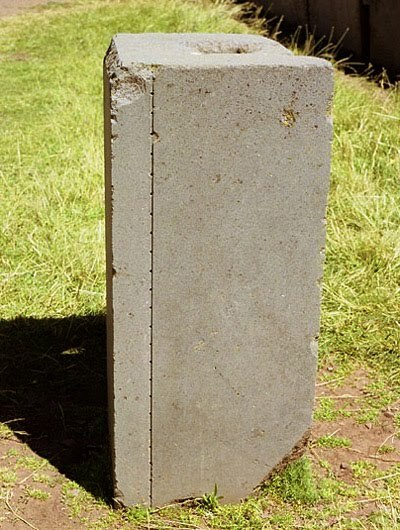 The largest of the stone slabs found is 7.81 meters long, 5.17 meters wide, averages 1.07 meters thick and has been estimated to weigh 131 metric tons. 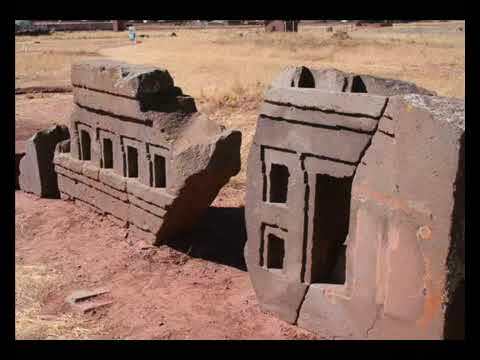 There are some discrepancies to when Puma Punku was built some say around 400 AD and others believe somewhere around 12,000 BC. Either way no matter when they were built these ruins still contain an amazing amount of mystery. The precise cutting of the stone was so the stones could fit together like a perfect puzzle. Who were the minds behind this kind of precision. This perfect line is 6 mm wide. What was it that might have locked into place in this grove and small holes. 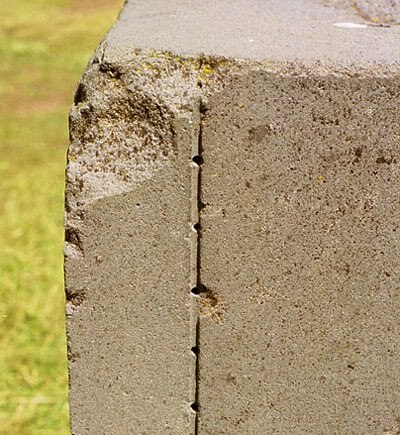 Even the holes are perfect. What kind of tool did they use to cut it? Such precision so long ago is why these question arise. 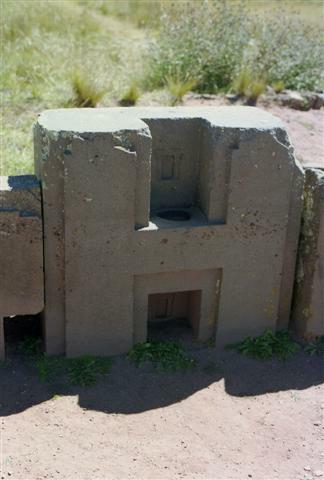 Exquisite detail with perfectly cut edges makes these ruins a true masterpiece. How did they do it? No one is really quite sure, it's really only someones best guess. These pieces interlock perfectly, each one is absolutely perfect. 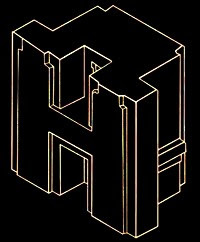 They also used I-shaped architectural cramps, which are composed of a unique copper-arsenic-nickel bronze alloy. I-cramps of unknown composition were used to hold together the massive slabs that formed Puma Punku's four large platforms. 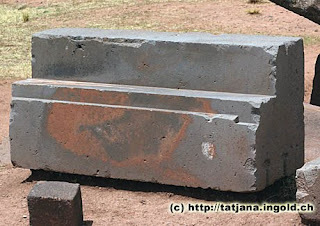 In the south canal of the Puma Punku, the I-shaped cramps were cast in place. 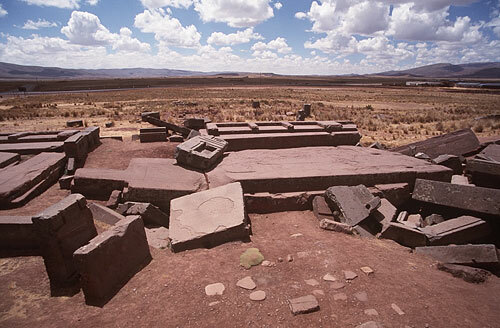 Notice the giant stone slabs, they way hundreds of tons. Some say they used the tree rolling method to get them there. Only one problem with that theory though. No trees.